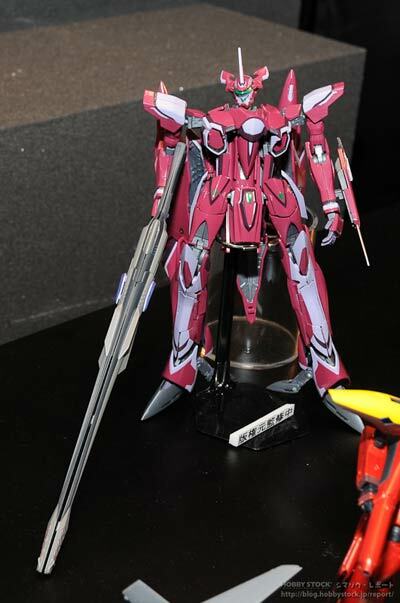 The VF-27 Lucifer was made famous in the Macross Frontier series. 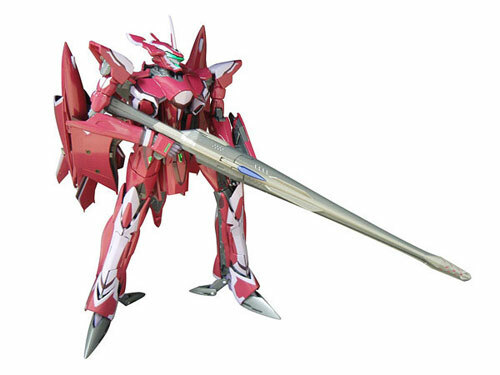 Piloted by cyborg Brera Stern of Macross Galaxy's Antares Squadron. Its avionics was patterned after the YF-21 of Macross Plus which used a brain interface so that the pilot could fly the plane using only his thoughts. 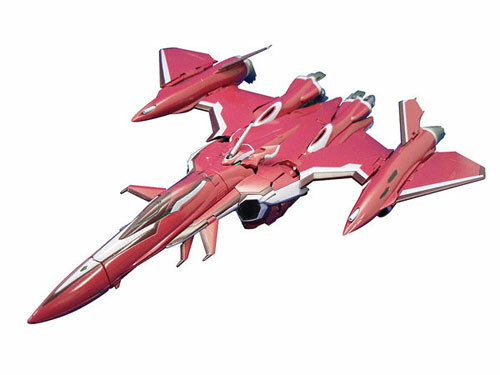 Like the VF-25 Messiah of the SMS Squadron of Macross Frontier, the VF-27 was also based on the prototype YF-24 Evolution. The VF-27 doesn't need any super packs to enhance its performance because it already has auxiliary boosters fitted onto its wings, similar to the famous SR-71 Blackbird spy plane of the United States. 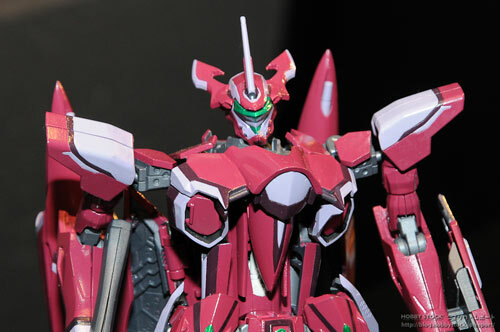 Due also to the size of the Gun Pod, it has to be in the "open" position whenever it is attached to the underbelly of the VF-27 in Fighter mode. 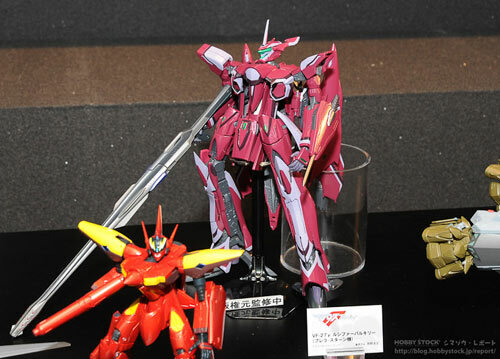 The VF-27 DX Chogoukin has already been making the rounds in various hobby shows. 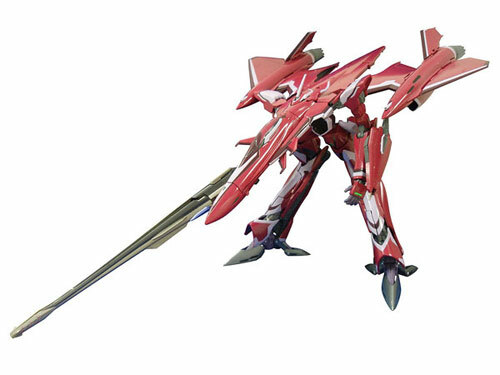 Prior to the release of the 1/60 VF-27, the 1/72 VF-27 Lucifer Model kit also by Bandai was scheduled to be made available by November 21 of this month.